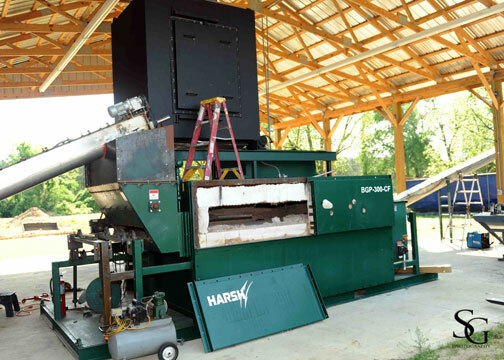 This is the first of a 2-part blog about M. Marsh Farms in South Carolina: minority-owned, hedged through production for two completely different markets, and innovator in farm waste and energy management. You might not expect M. Marsh Farms, a 185-acre poultry and turf operation in the northeast midlands of South Carolina, to be a leader in green energy. You might not expect that their most recent equipment purchase served as a backdrop for President Obama at a renewable energy speech in Reno, Nevada. And yet, that is exactly the case. Marc Marsh and his wife Melanie, owners of M. Marsh Farms, are innovators in both their agricultural operation as well as their energy sourcing. They exemplify precisely the type of private landowners that America needs if we are to maintain productive working lands. Imagine if Mr. and Mrs. Marsh were typical, rather than exceptional, and you quickly get the picture. 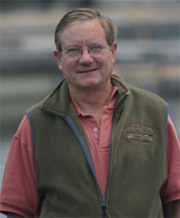 M. Marsh Farms, in a joint project with the South Carolina Energy Office, received support to install an innovative form of renewable energy several years ago. Since 2010, Marc and Melanie have had a poultry manure gasifier, and since February of this year, they’ve been waiting for delivery of the “Green Machine” from ElectraTherm. With that machinery in place, they will be able to convert the heat generated from burning their gasified poultry manure into electricity, which he’ll sell back to the Lynches River Power cooperative. Marsh farm itself will not use electricity from the grid but will survive using energy produced 100% from the gasifier and Green Machine. Marsh’s operation began as a poultry farm, with some acreage for cropland and hay or soy. Eggs are a staple throughout the world, so Marsh knew he was in a good business. His contract with Tyson began with a selection of purebred birds raised especially for breeding purposes. The eggs Marsh raises are shipped to other operations where they are hatched out and become egg layers. The fact that his poultry contract pays on square footage of the poultry buildings and not the production of his flock makes his cash flow considerably smoother than it might otherwise be. “I knew it was a good deal when Tyson offered it to me. It’s not a get-rich-quick scheme, but it’s fair. Tyson is a very fair company,” says Marsh. However, such contracts are not without drawbacks. 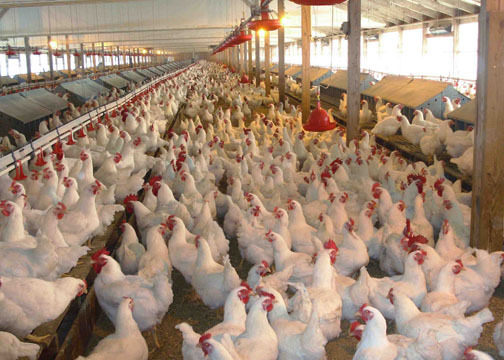 Marsh notes that poultry farms like his have a lifespan. The infrastruc ture and buildings depreciate. His deal with Tyson began as a one-year contract, but now it’s a 5-year contract that expired this spring. “This place was built in the 1980s, that’s why I have concerns.” The poultry company might ask him to rebuild at some point. He’s not sure he’d want to do that. I originally spoke with Marc in February, and he told me to call back in the spring when he’d have his contract renewal decision from Tyson. As it happened, I called him back on the very day he’d accepted an offer to extend the supply contract to December 2011, with a 2% increase. Beyond that, it’s still uncertain. Of course, he noted that the 2% increase will be the first one since about 2001. “As an independent contractor, you don’t have much leverage,” he said, but Marsh enjoys working with Tyson. Hi sir, Good day! Hope you all the best! We can produce Fish Meal, Chline Chloride, L-lysine HCL, Meat and Bone Meal, Corn Gluten Meal and animal feed products! We have our own factory, so our price is cheap. If any requst and suggestion, please let us know. We will offer the best service. --------------------------------------- Thanks & Kind regards Yours Sincerely Aaron Bai / Sales man of Export Dept. Am frm Uganda and i hav liked the word.some more explanation of how hios gasfier works please. Alister, I would contact the company mentioned in the article, ElectraTherm. They're listed on PLN; just put their name in the Find Resources box. People like Marc and Melanie are truly what we need more of! Great article and great people! M. Marsh Farms is way ahead of its time!